Have you ever wondered or asked yourself why you always have to take your vehicle for an oil change? Why can’t you just change it once and forget? Well, read on to understand the basics behind oil change and why it’s a very crucial maintenance routine for every vehicle. Maybe it’s time you reflected on your car maintenance schedule. When was the last time you took your vehicle for servicing? What about an oil change? 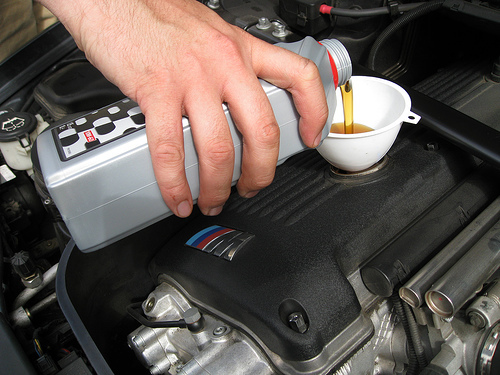 Many people forget to carry out regular oil changes. It seems like their vehicles continue working perfectly without these oil changes. This is very wrong. Understand that your car’s engine comprises of many components which are in constant movement when you’re driving. The purpose of having oil in your vehicle is to reduce the friction between moving engine components and prevent heat damage. Over time, as you use the oil, it gets contaminated with debris and dirt from the car engine. It’s at this point that you need to flush this oil out and add fresh or rather new oil to ensure optimal functioning and performance of your engine. Here are four reasons why oil changes are crucial for the operation and performance of your vehicle. If you want to add years of performance to the life of your car, regular oil changes and proper maintenance are not an option. Changing oil on a regular basis reduces the rate of wear and tear on your car engine. The dirt and debris contaminating the oil usually end up turning into sludge if not removed on time. The sludge that’s formed is what damages your engine thereby reducing its life and affecting your vehicle’s performance. Have you realized that when your vehicle is using new, fresh oil, it generates less exhaust? Maybe it’s time you watched carefully. It’s our responsibility to take care of our environment. Regular oil changes will help you ensure a clean environment as less greenhouse gases are emitted. As mentioned, oil maintains engine lubrication which in turn improves fuel efficiency. When your vehicle is using old, contaminated oil, there’s poor lubrication in your engine which leads to poor fuel efficiency. That could be the reasons for increased fuel consumption. Make sure you’re using clean oil. According to the U.S Department of Energy, using the right type of oil and ensuring regular oil changes improves gas mileage over time by 1 to 2 percent. You can calculate and see how much you can save in a year or over the life of your car. Whenever you take your vehicle for an oil change, the oil, contaminated oil is usually drained and removed from the engine before clean oil is added. The grime, dirt and other contaminants in the oil are also removed. The new oil that’s added regulates engine temperature more efficiently. Furthermore, it provides the lubrication needs of the moving parts which allow for smooth movement. All these lead to improved and better engine performance.